Japanese encephalitis virus (JEV) is one of the most common pathogens of severe viral encephalitis, which is a severe threat to human health. Despite instability of the JEV genome in bacteria, many strategies have been developed to establish molecular clone systems of JEV, providing convenient tools for studying the virus life cycle and virus–host interactions. In this study, we adapted an In-Fusion enzyme-based in vitro recombination method to construct a reverse genetic system of JEV, thereby providing a rapid approach to introduce mutations into the structural genes. A truncated genome without the structural genes was constructed as the backbone, and the complementary segment containing the structural genes was recombined in vitro, which was then transfected directly into virus-permissive cells. 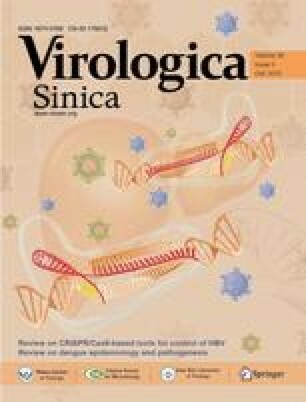 The progeny of the infectious virus was successfully detected in the supernatant of the transfected cells, and showed an identical phenotype to its parental virus. To provide a proof-of-principle, the 12 conserved cysteine residues in the envelope (E) protein of JEV were respectively mutated using this approach, and all mutations resulted in a complete failure to generate infectious virus. However, a leucine-tophenylanine mutation at amino acid 107 of the E protein did not interfere with the production of the infectious virus. These results suggested that all 12 cysteines in the E protein are essential for the JEV life cycle. In summary, a novel reverse genetic system of JEV was established for rapidly introducing mutations into structural genes, which will serve as a useful tool for functional studies.